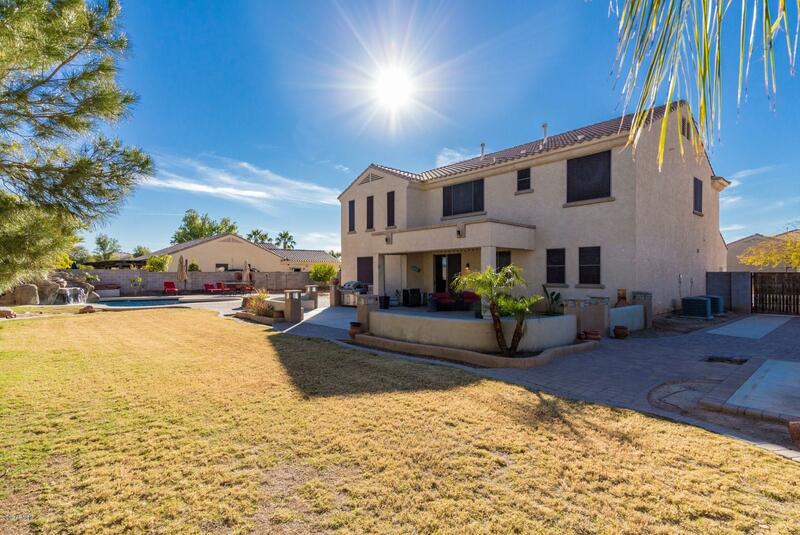 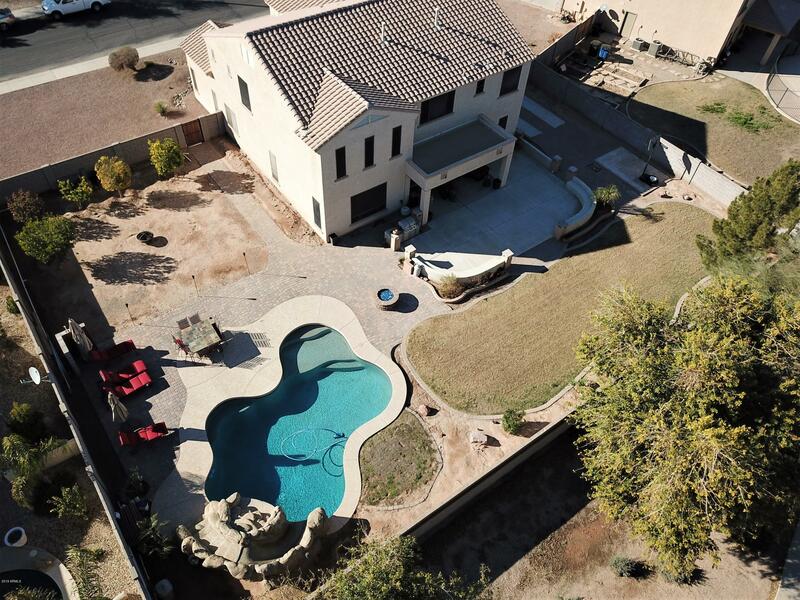 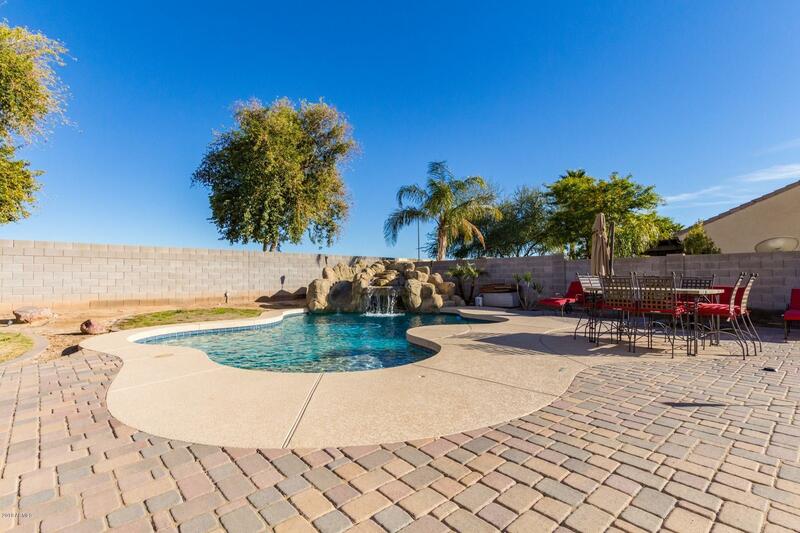 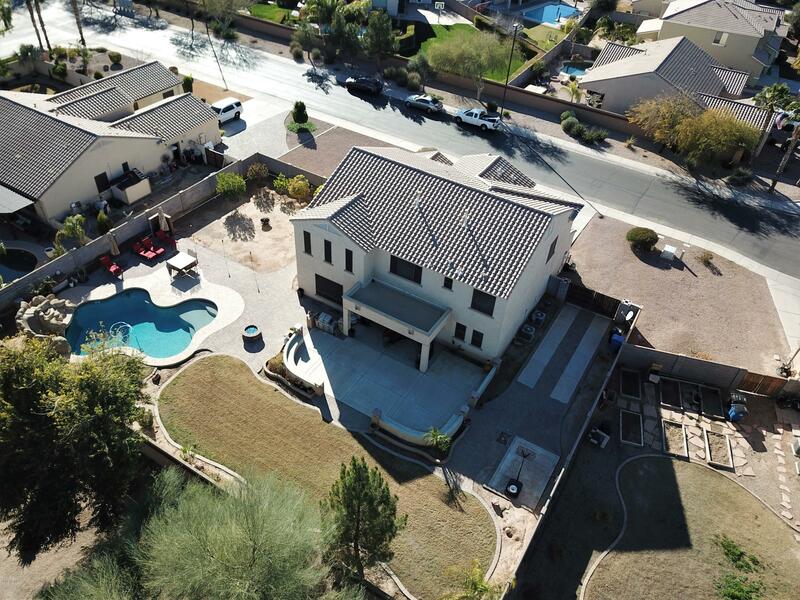 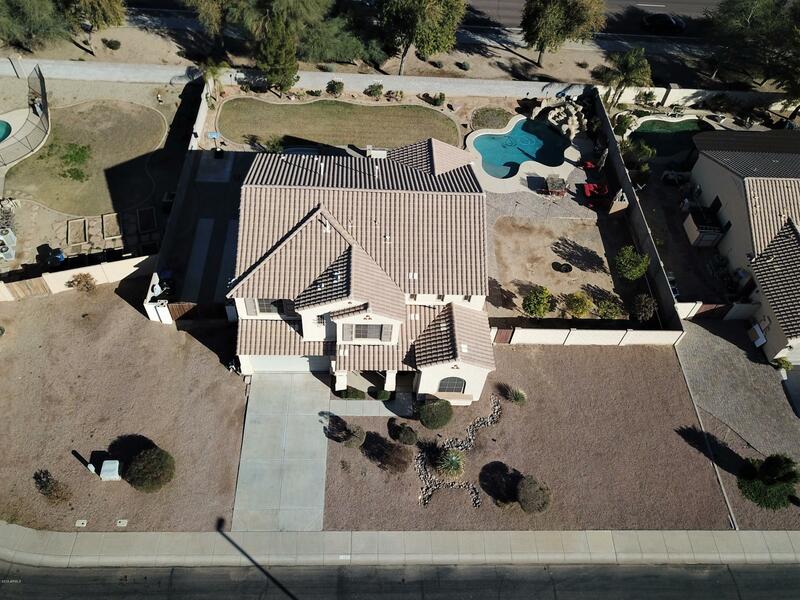 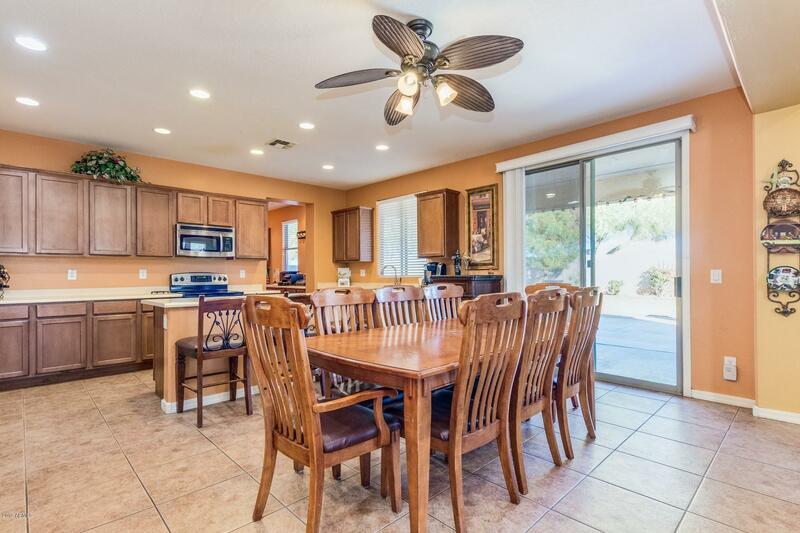 Beautiful Gilbert home on an oversized 15,000 sqft lot! 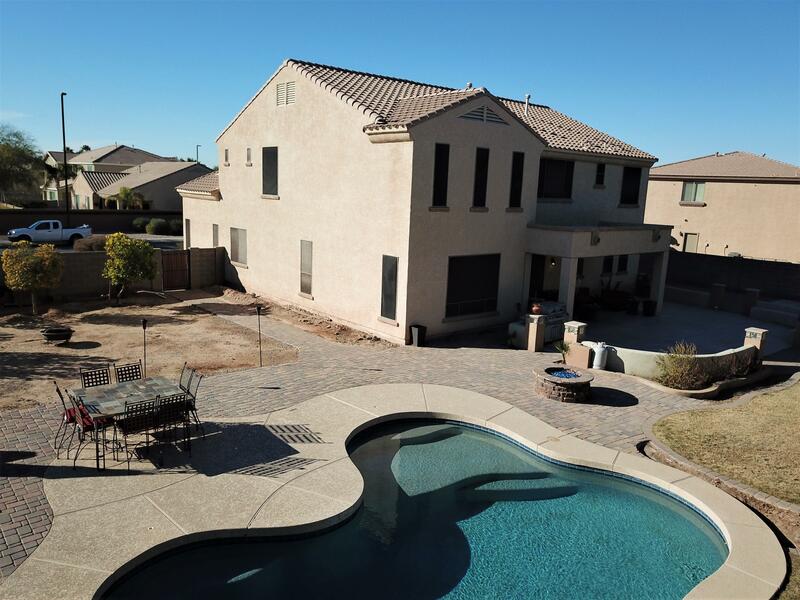 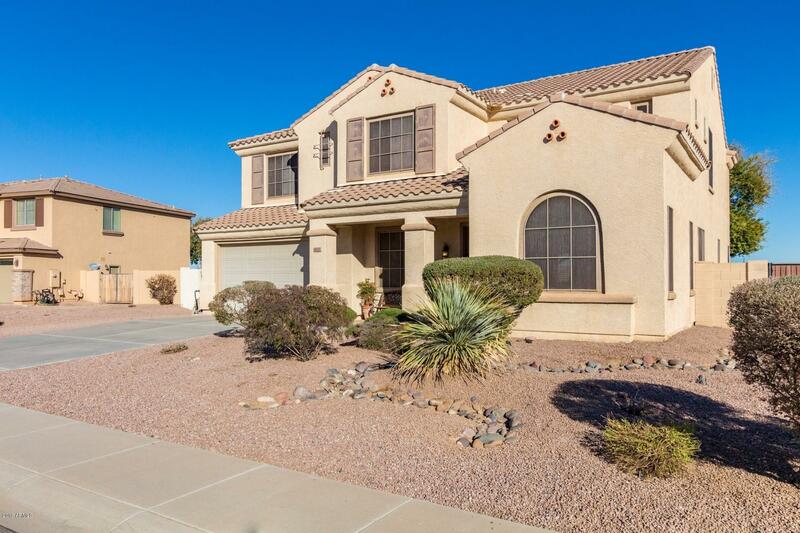 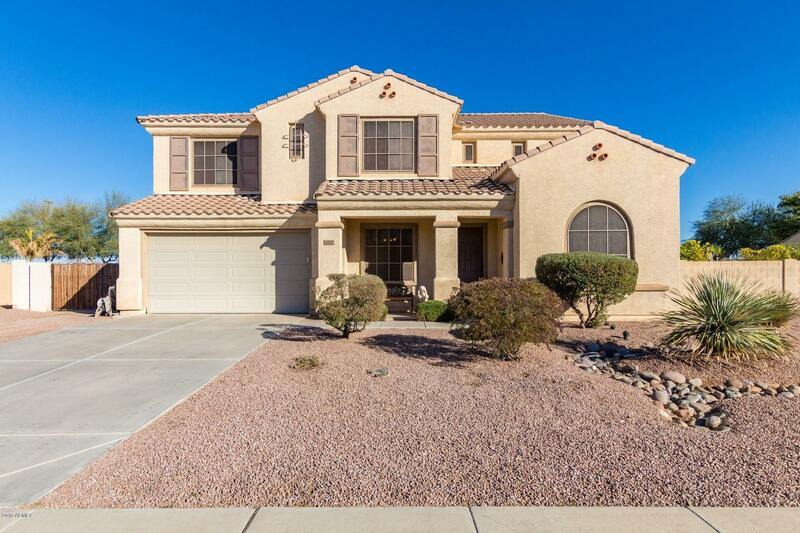 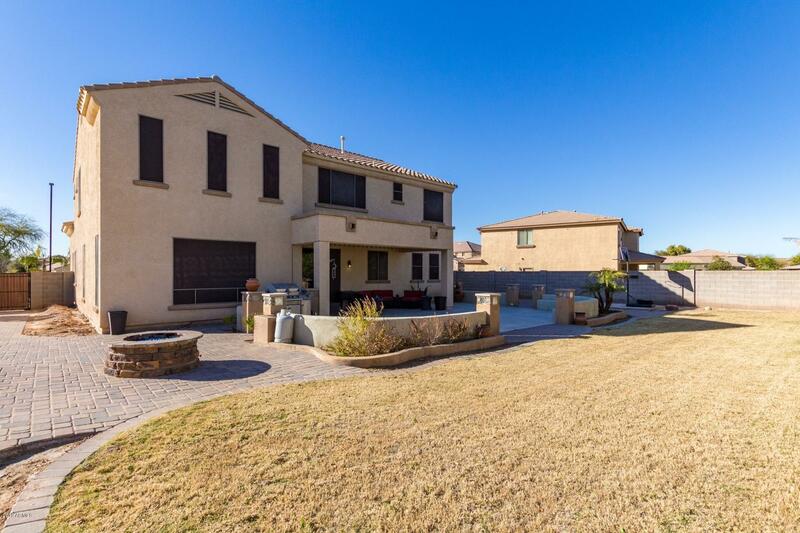 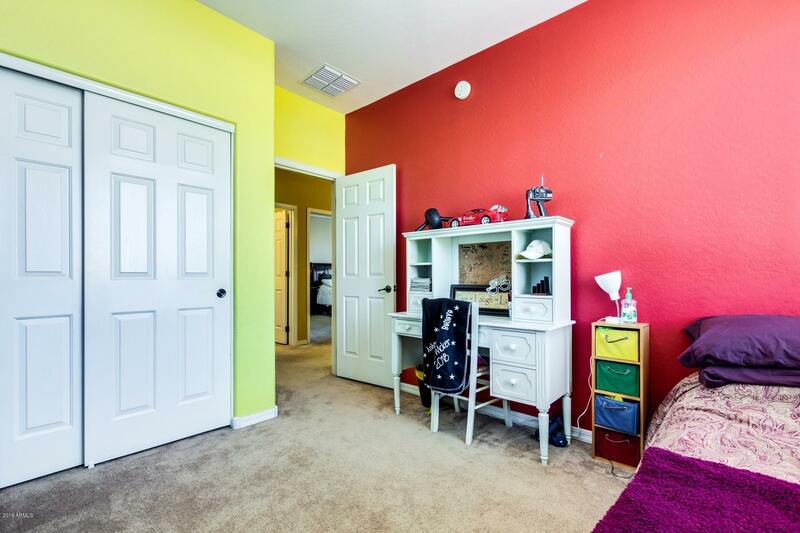 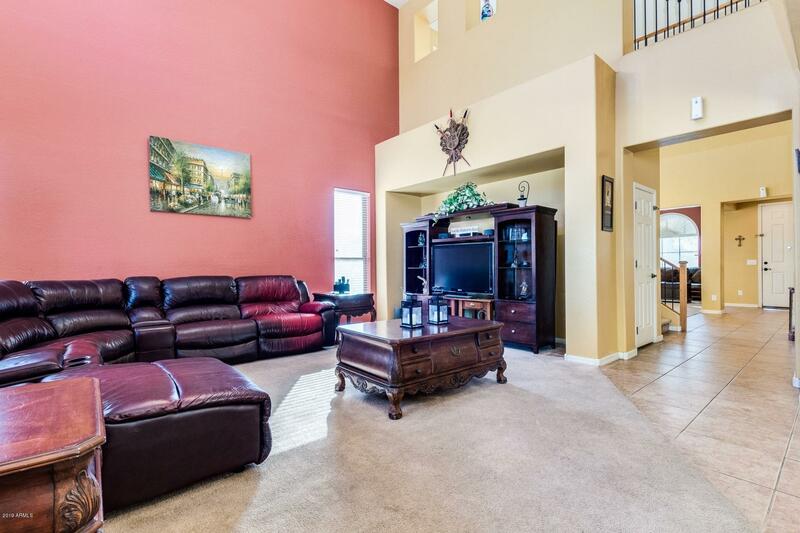 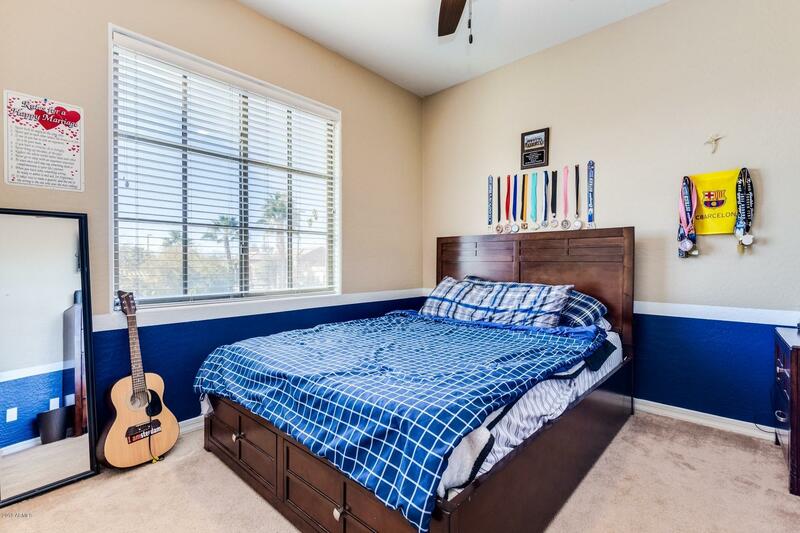 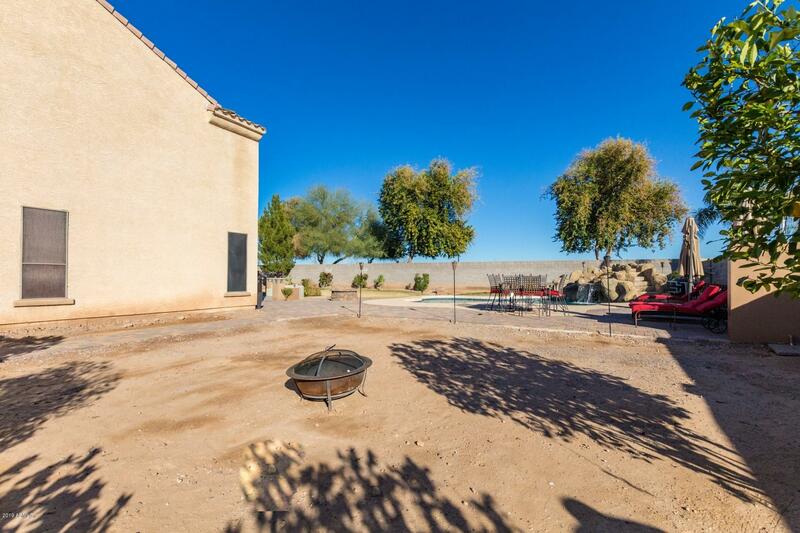 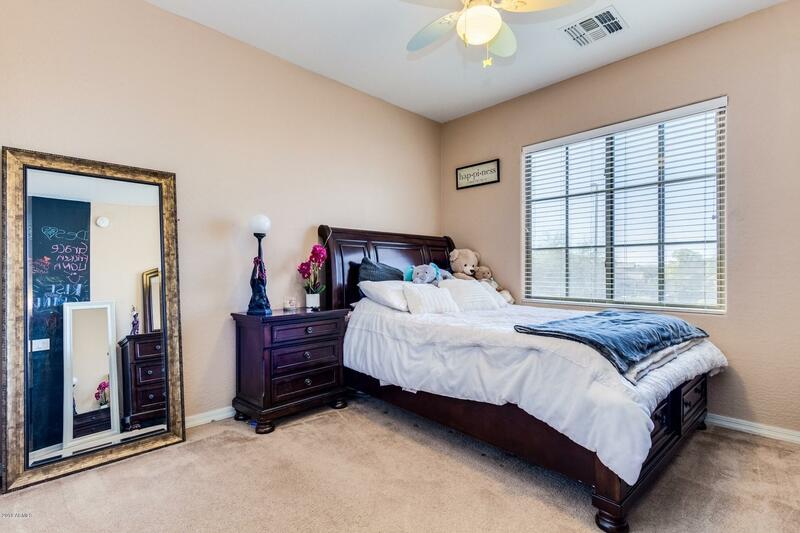 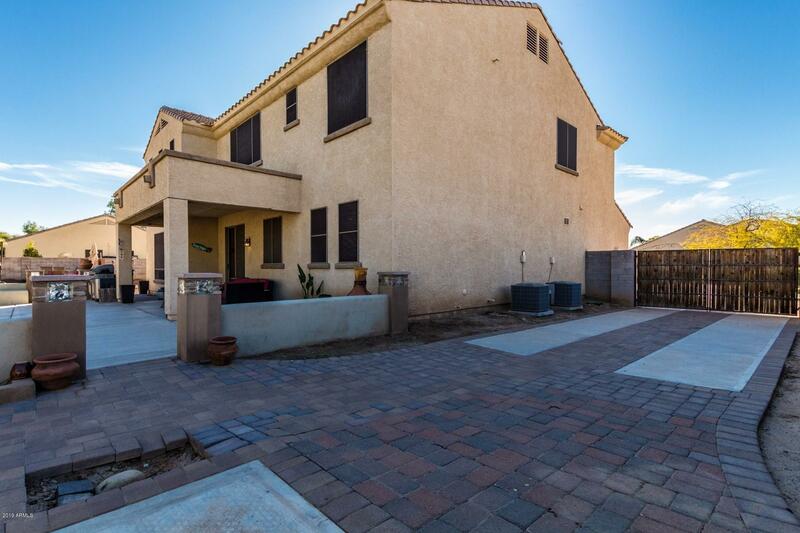 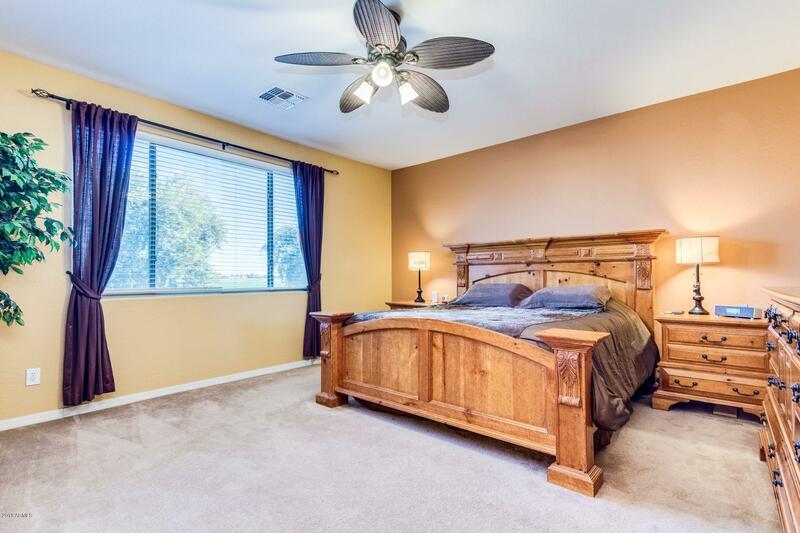 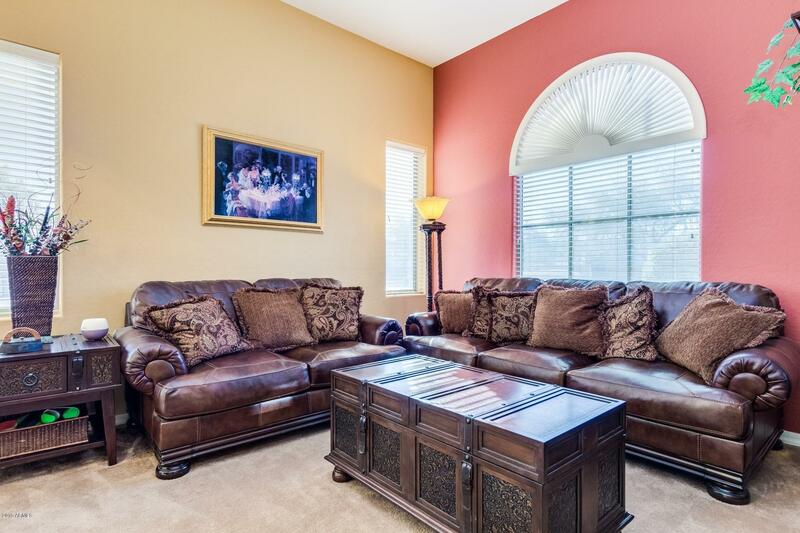 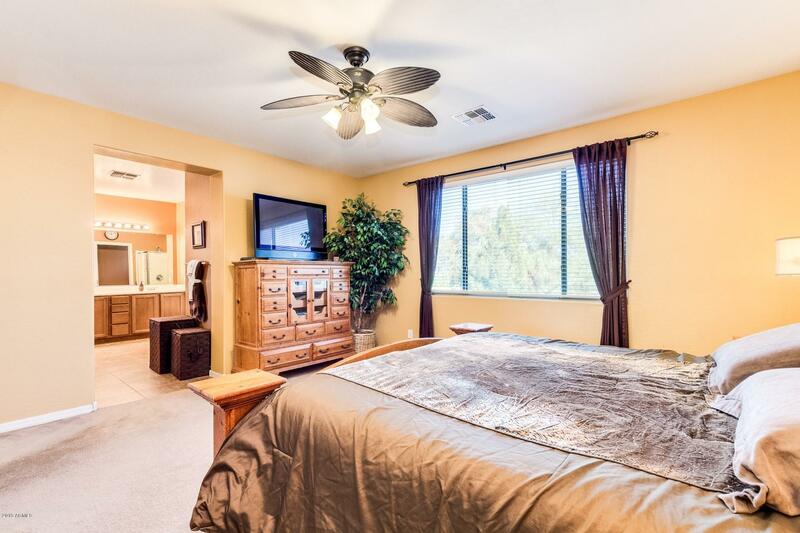 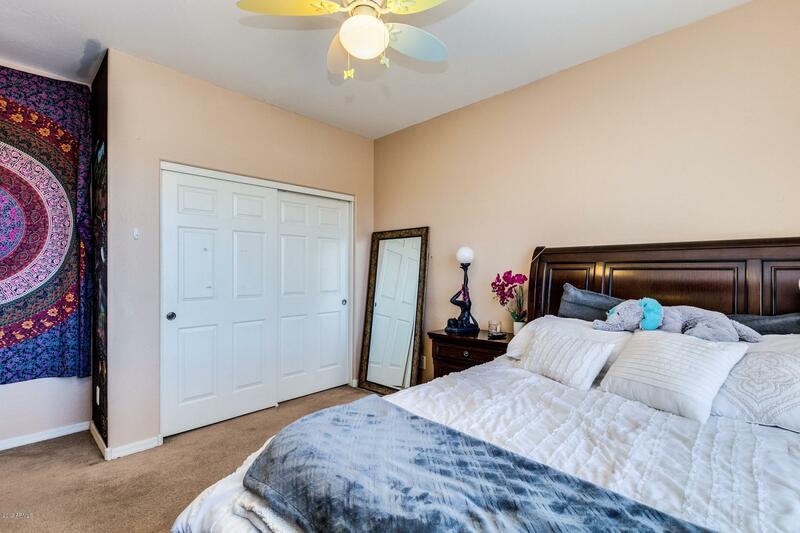 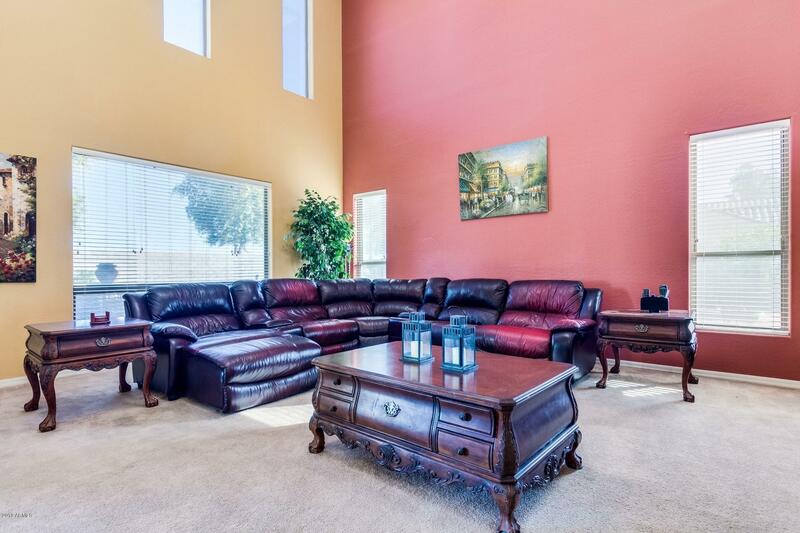 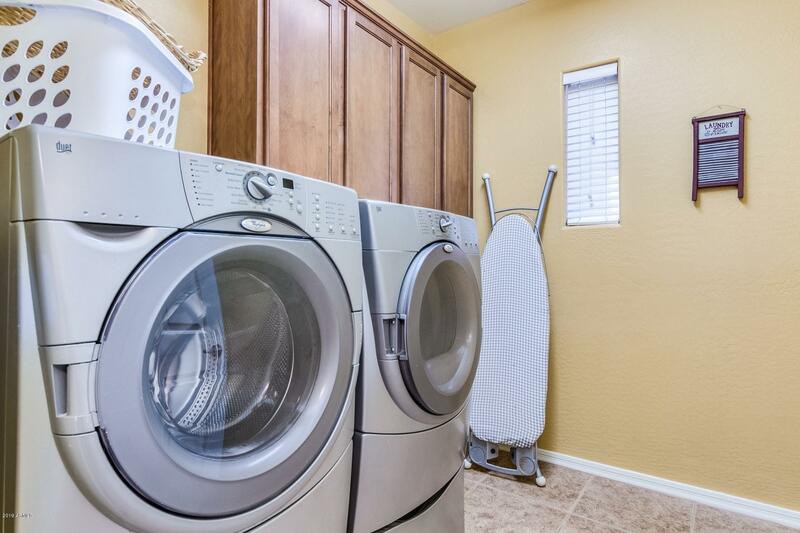 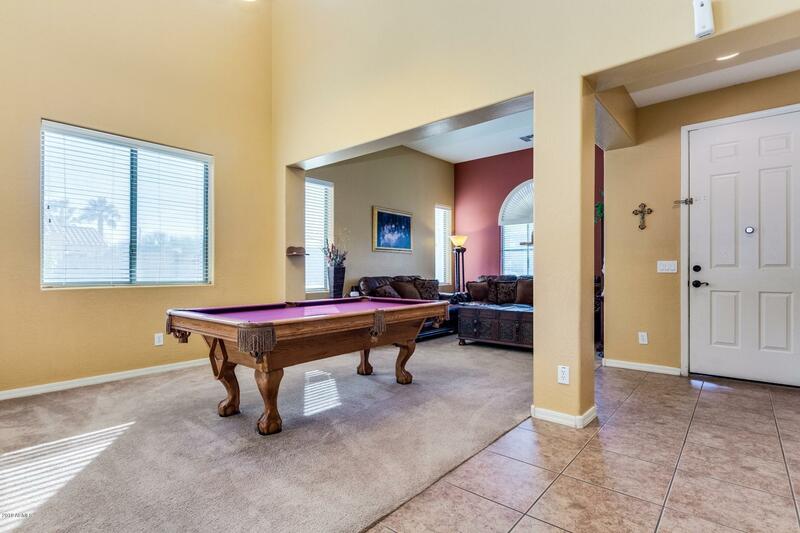 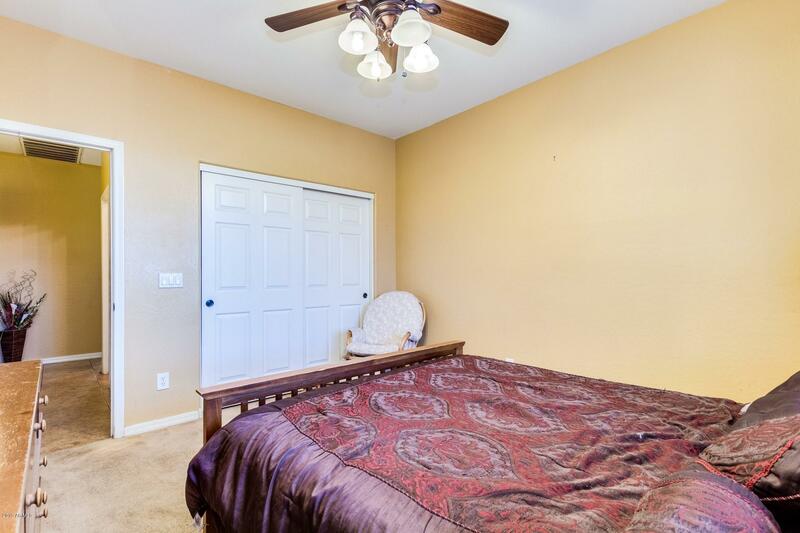 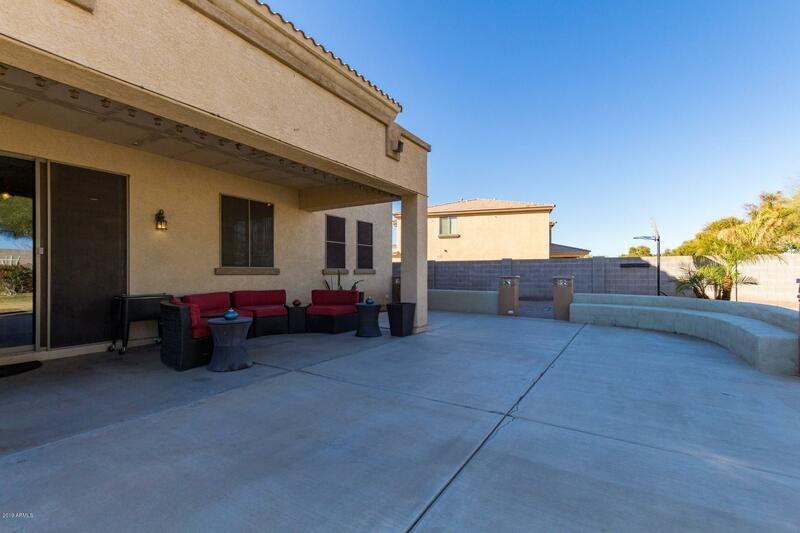 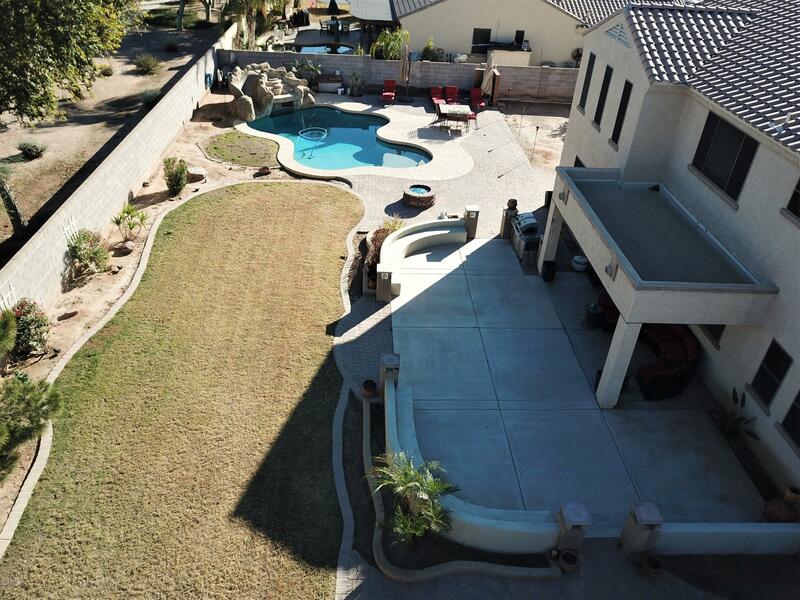 Easy access to the 202 San Tan Freeway. 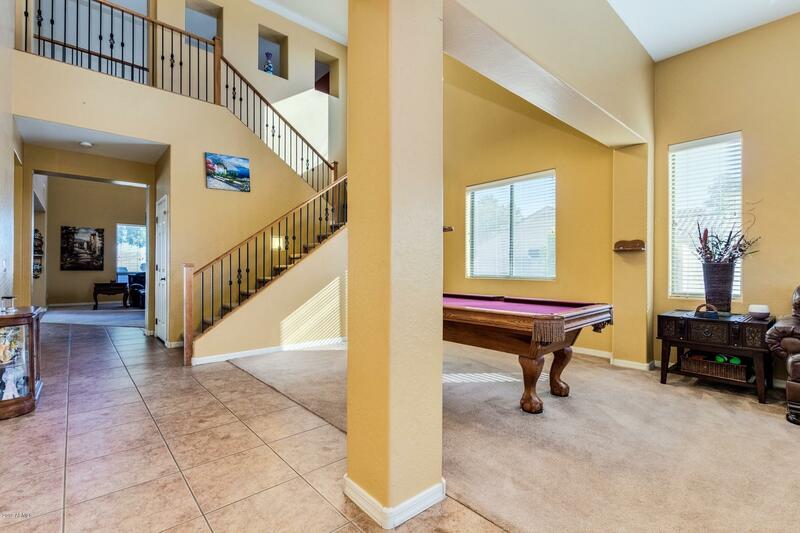 3 car tandem garage with built in cabinets and overhead storage. 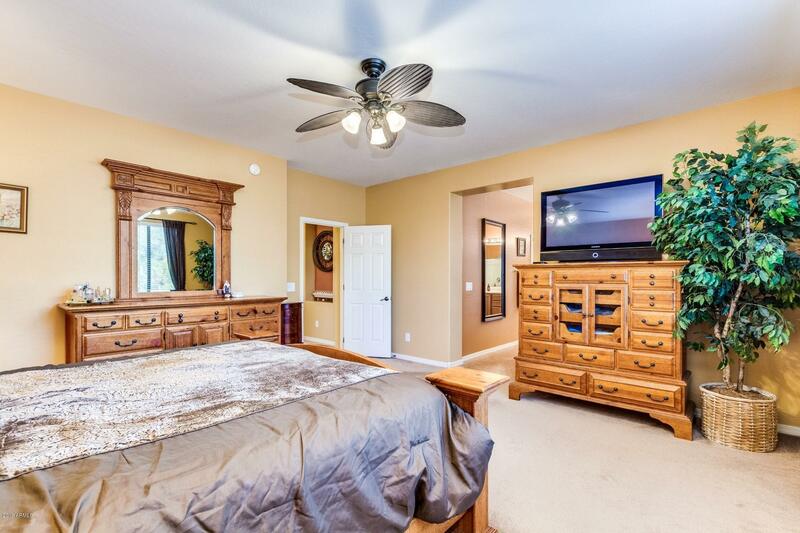 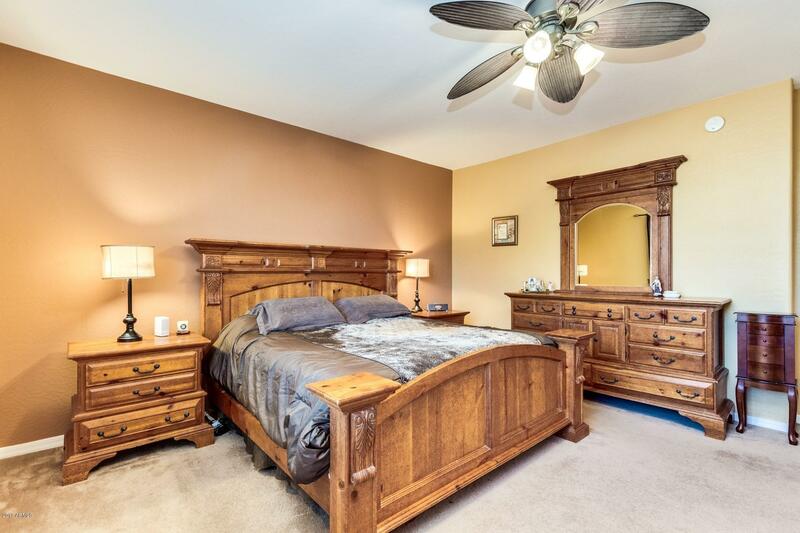 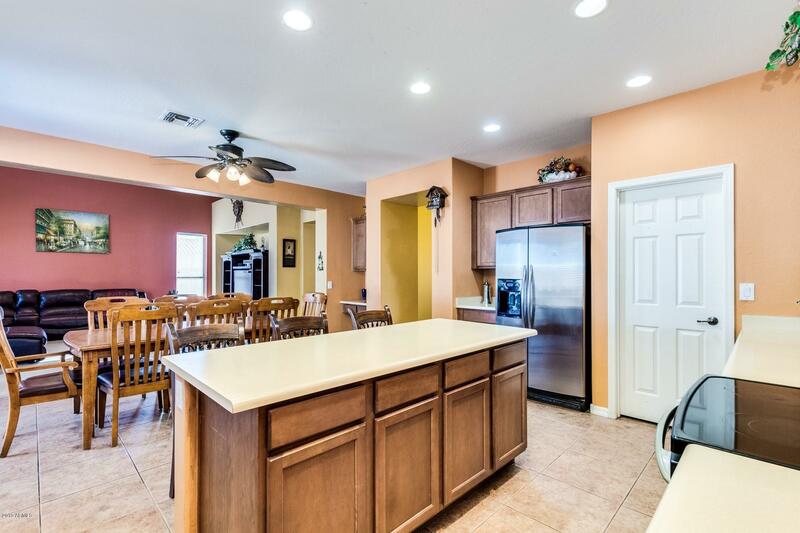 5 bed, 3 bath, 3,186 square feet. 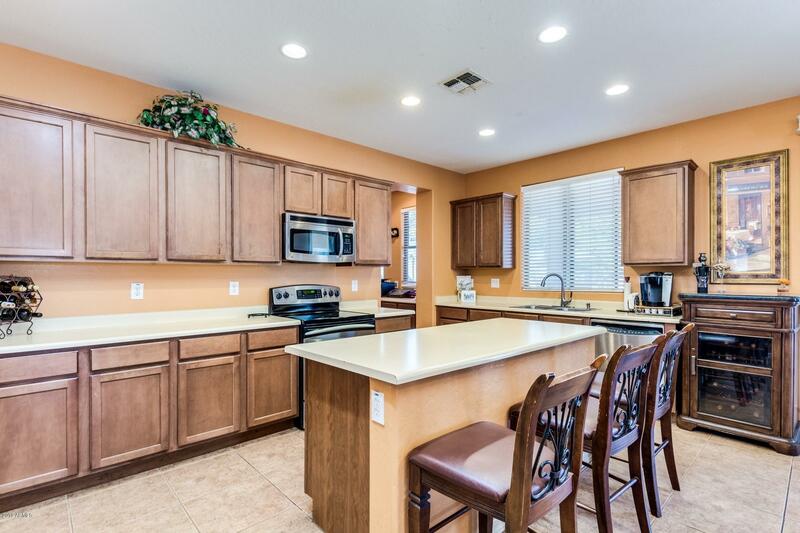 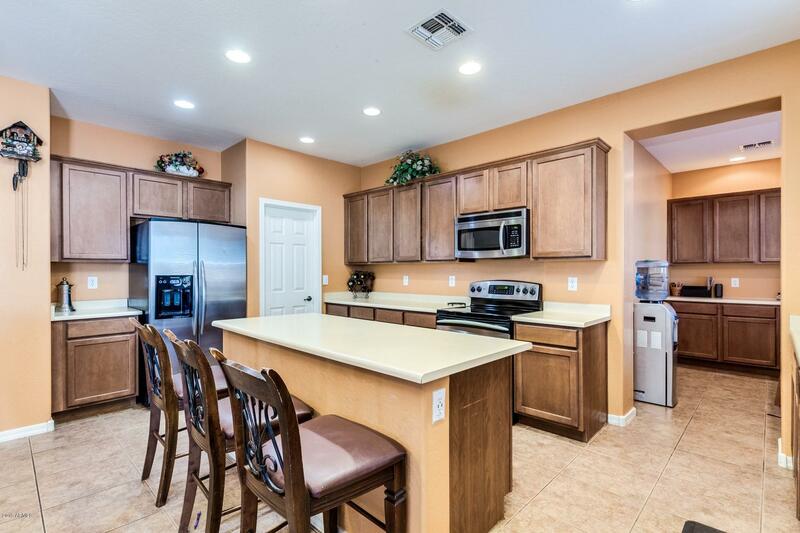 Spacious kitchen with island, 42 inch Mahogany cabinets, GE appliances, butler's pantry, and walk in pantry. 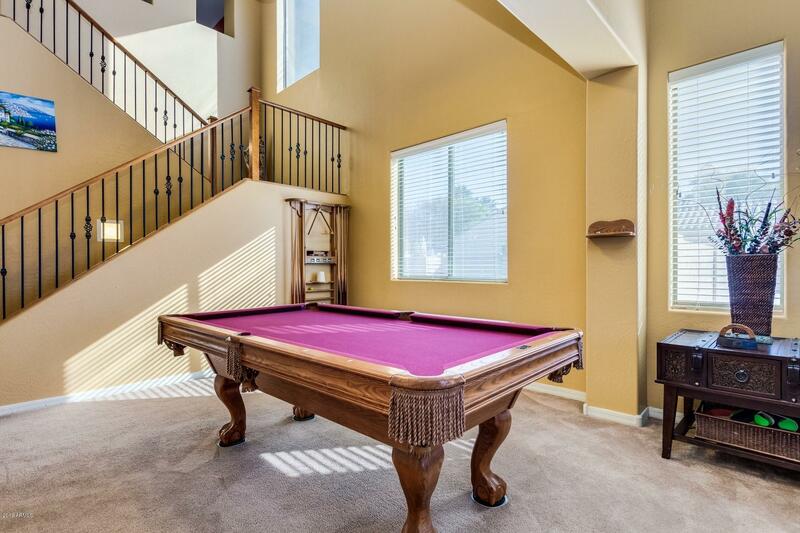 Upgrades include 16 inch tile, vaulted ceilings, and black rod iron stair rails. 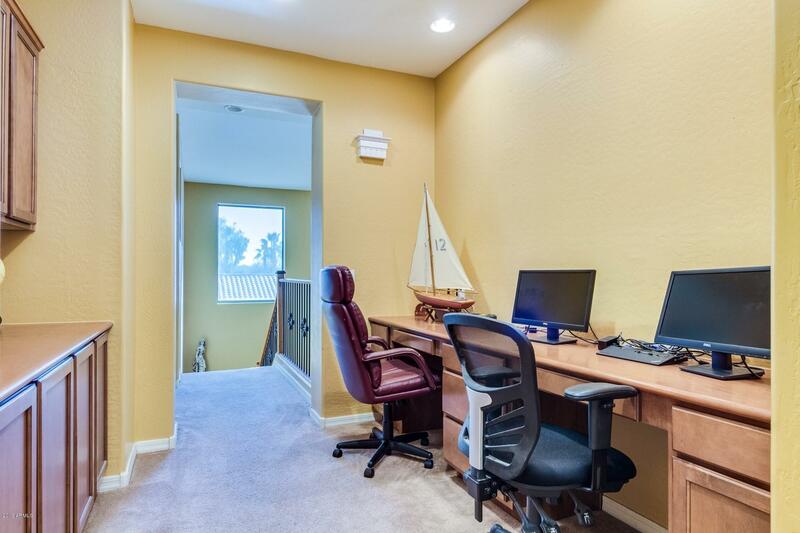 There is a bonus room/office off the kitchen. 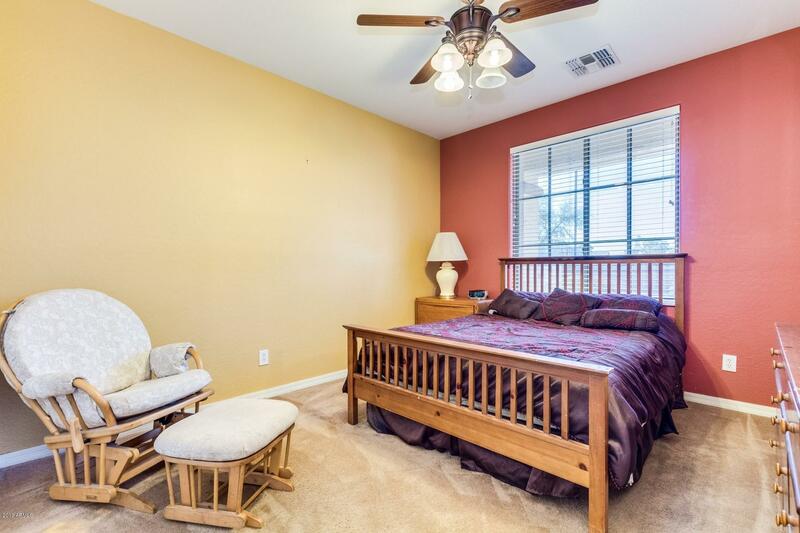 One bedroom and full bathroom downstairs and 4 bedrooms upstairs. 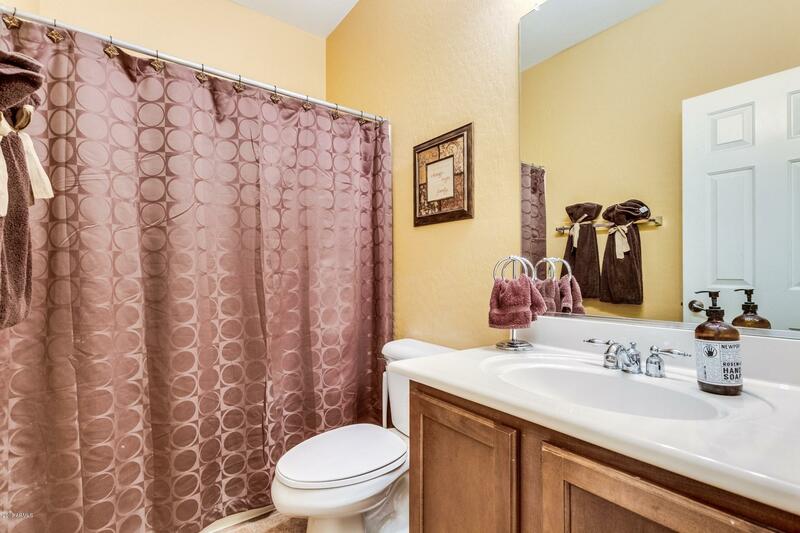 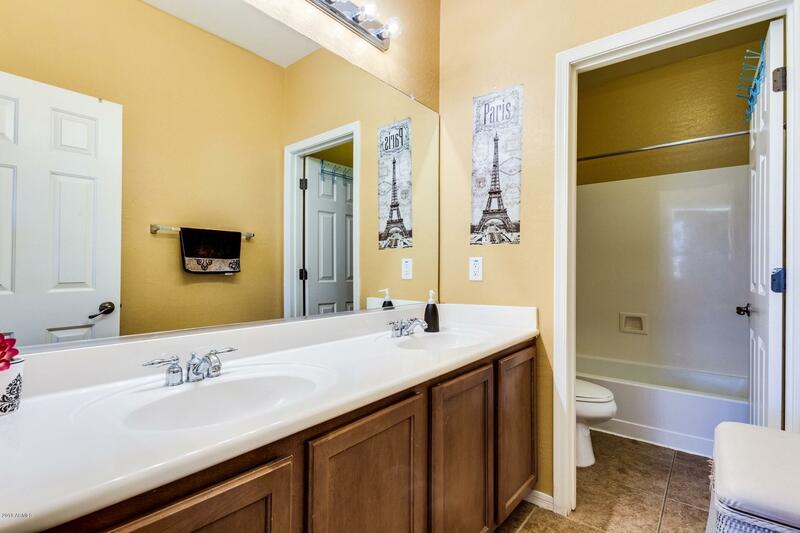 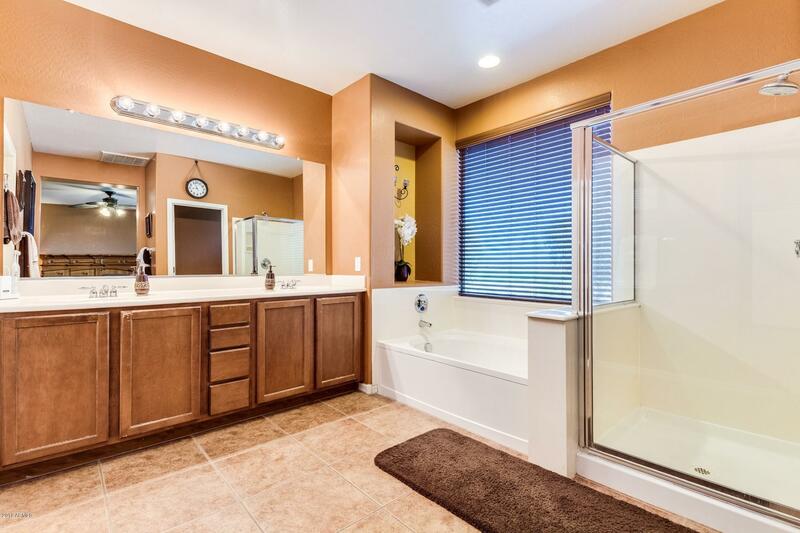 Master bathroom features raised vanity, dual sinks, plus separate shower and tub. 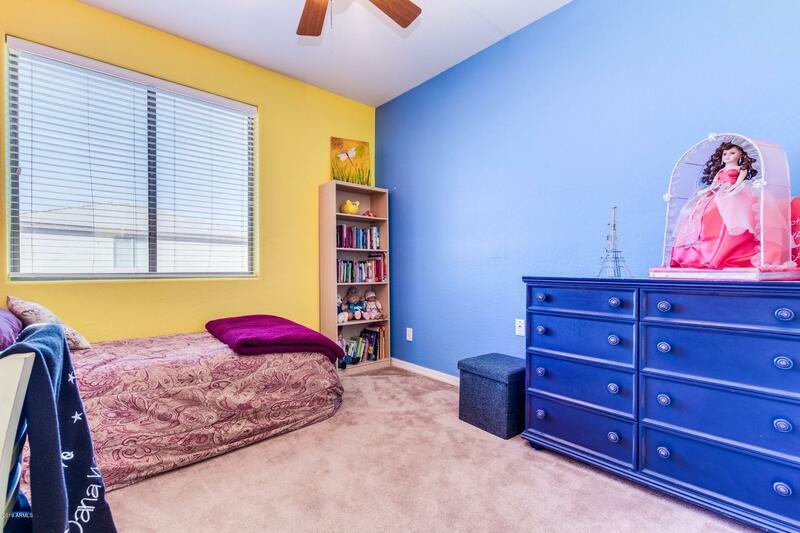 Built in desk area and extra storage upstairs. 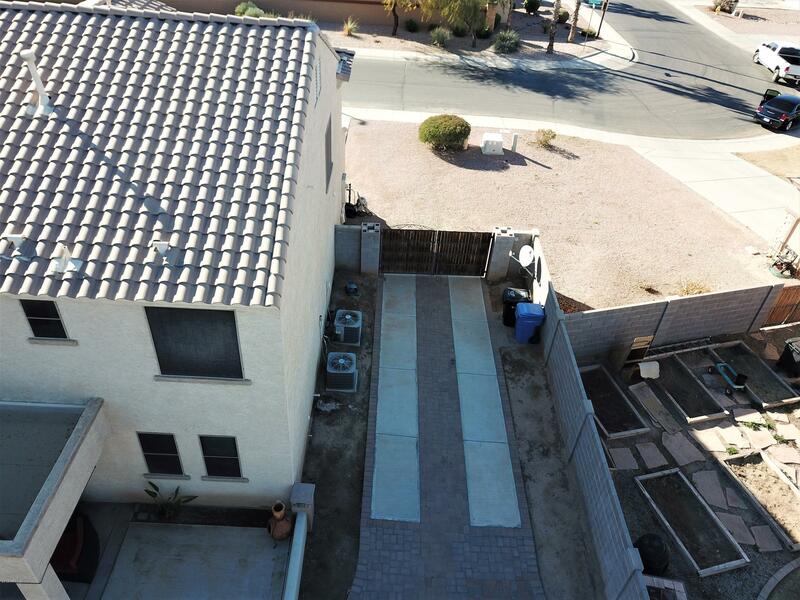 RV Gate, paver & concrete parking. 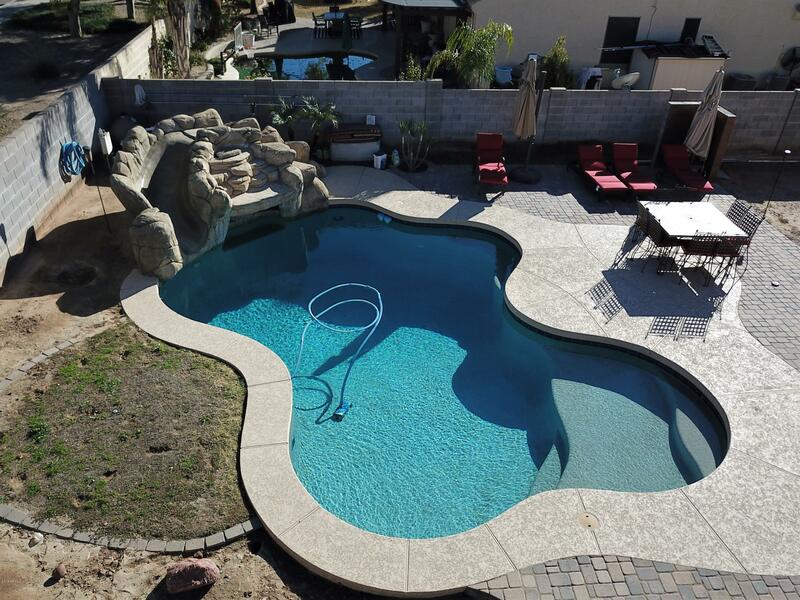 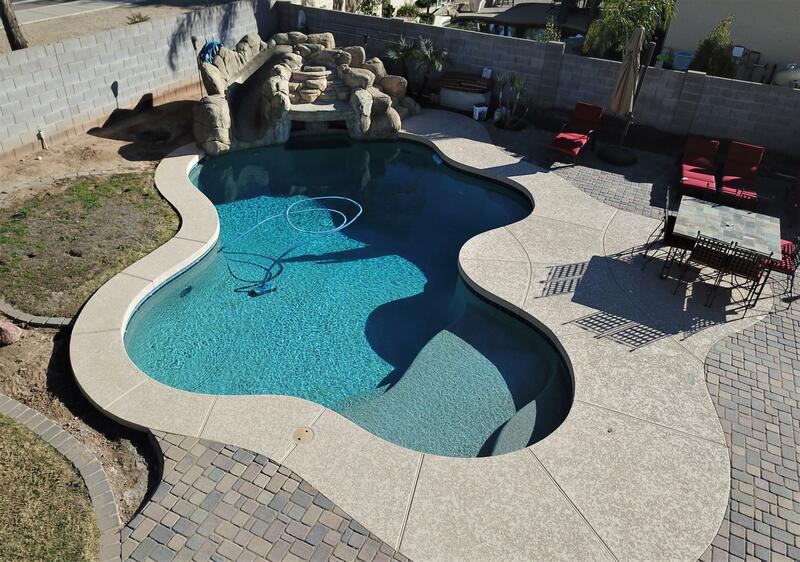 Large extended covered patio, extra concrete decking, beautiful pebble-tec pool with waterfall & grotto, fire pit & citrus trees. 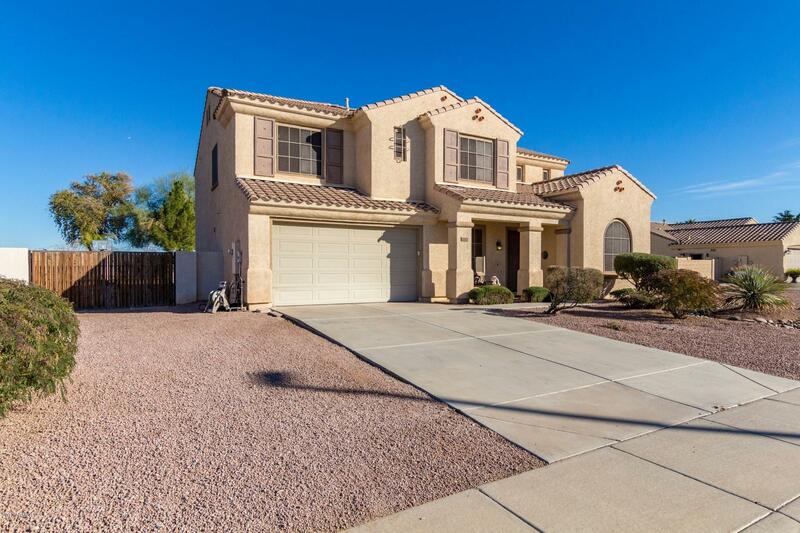 From Val Vista & Germann, South on Val Vista, West on Blue Bird Dr, North on Redrock.